iPhone is one of the best Smartphone known for its awesome security as it doesn't allow unauthorized person to access the phone easily. Sometimes the same security feature can put you in trouble when you forget the passcode and don't know how to crack the security due to which user gets frustrated and thinks about getting another phone. But you don't need to worry any more. 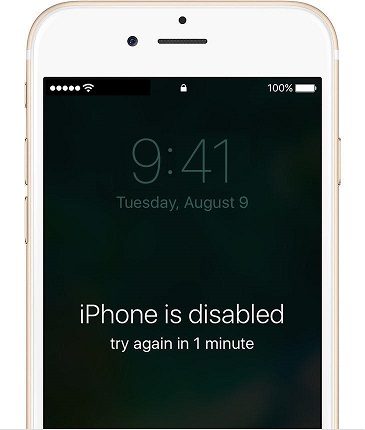 There are a few methods on how to bypass iPhone 6 without passcode which is shown below. Just go through all the methods and use the best one that makes your job fast and easy. If you want to unlock iPhone 6/6s without any long and hectic process then using a third party tool will be the best choice. Tenorshare 4uKey is an amazing tool that helps you to unlock iPhone 6s without passcode. It can easily remove 4-digit/6-digit passcode or Touch ID & Face ID within a few minutes. Even if your iPhone's screen or buttons are broken, you don't need to worry on how to unlock the iPhone but make sure you have already backed up all the data of your iPhone as this process will wipe all the data of your iPhone. Note: Download and install 4uKey on your computer before starting the process. 1. Launch 4uKey on your computer and connect your iPhone to it using USB cable. As soon as you connect your iPhone, 4uKey will detect it automatically. Click "Start" to continue further. 2. Next you will be asked to download the latest firmware package, simply choose a save path and click on Download button. 3. Once the firmware completes downloading, click on "Unlock Now" to start removing your iPhone passcode. The process will take a little while to complete. 4. Now you have successfully removed iPhone passcode. If you have previous backup on iTunes/iCloud, you can restore your iPhone. Unlocking iPhone 6/6s with iTunes is the first method that pops up on every Apple users. It is really easy and simple to unlock your iPhone with the help of iTunes. You just need to put your iPhone into recovery mode or DFU mode and then restore it with the help of iTunes. But you better backup all your data to iTunes prior because if you don't have backed up data, you will end up losing all your data during the process of restoring with iTunes. 1. First connect your iPhone 6 to computer and launch iTunes. 2. Next turn off your iPhone 6 by holding the sleep/wake or power button and swipe it off. 3. Then press and hold home button without releasing the sleep/power button for 10 seconds. 4. Release the power button but continue holding the home button until you get a pop up from iTunes that your device is recognized as being in recovery mode and it will say to restore the iPhone. 6. Once you have clicked on OK button you will see a message asking you to update or restore the iPhone. You just click on restore button to unlock your iPhone with the help of iTunes. iCloud can also be used to unlock iPhone 6/6s easily. This is the modern way to unlock your iPhone and the best part about this method is that you can remotely erase you device which means it is not necessary to have your iPhone beside you. You just need to login to iCloud using your iCloud ID that you have used on your iPhone. In this method also you need to backup all your data and information prior because performing this process will erase everything of your iPhone. Note: Make sure that you have enabled Find My iPhone in your device previously. 1. Open your computer and visit www.icloud.com website using any browser. 2. Login to account using your Apple ID and Password. 3. Now click on All Devices and choose your iPhone that you want to unlock the passcode. Click on Erase iPhone option. 4. If you are not using a trusted browser then answer the security question or enter the verification code which is sent to your other devices. But if you are using your computer and want to jump the verification step in the future, simply click on Trust. 5. Now you have successfully unlocked your iPhone using iCloud. 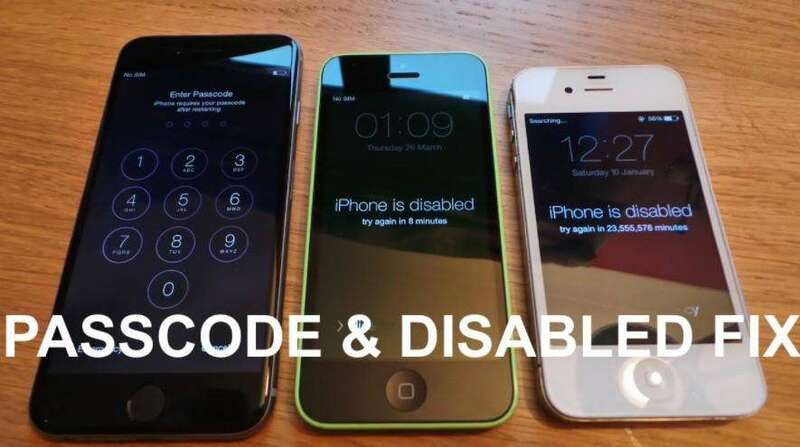 You have learned how to unlock iPhone 6 passcode using any of these three methods. Every methods works perfectly fine to bypass the iPhone lock but if you want the best method to crack the iPhone lock then you should better use 4uKey tool. 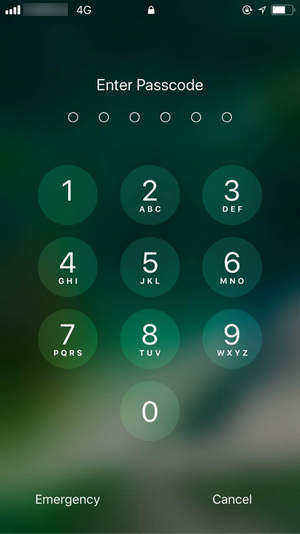 If you have entered wrong passcode many times or forgot iPhone restriction passcode then also, 4uKey will easily remove the passcode from your iPhone. Let us know what you think about 4ukey after using it and what do you like the best about this tool. Feel free to comment below.